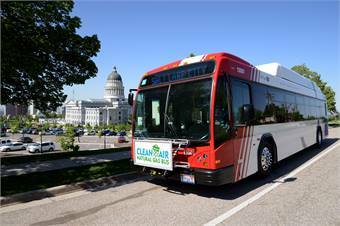 Utah Transit Authority (UTA) selected SmartDrive Systems to provide its video-based operator performance and safety program for its nearly 600 buses and paratransit vehicles. By mid-2014, UTA will begin using SmartDrive Safety in-vehicle recorders to capture video and vehicle data during its bus and paratransit vehicles’ daily routes. All recorded event clips will go through the SmartDrive Review Center where SmartDrive's specialists provide video analysis services including reviewing, scoring and prioritizing videos for coaching. RELATED: "Telematics Tech: Tapping Vehicle Intelligence to Make Good Fleets Great"
The SmartDrive Safety program has been installed on more than 10,000 transit vehicles in the last year, helping agencies to better protect vehicle operators and the public while lowering operational costs. In addition to the UTA, 26 transit agencies across the U.S. have deployed the SmartDrive solution; customers include Los Angeles County Metropolitan Transportation Authority, Dallas Area Rapid Transit, Nassau County and Veolia Transportation.